Here at Western Paper, we love success stories. And we’re fortunate to have been a part of many of them! It’s incredibly gratifying to bring great people on board, help them develop their skill set and watch them thrive in exciting new positions and roles. We love promoting from within. And we take great pride in equipping our team members with new business skills and abilities and then help them embrace new opportunities and expand their responsibilities. It’s not just a nice idea. It actually happens here. Get to know just a few of the many team members who applied for a job at Western Paper and found themselves a career! Armed with a great mind and a finance degree, Katie left bartending to join Western Paper’s credit collections department. Soon she was managing a team in order entry. She gained technical and analytics skills, and put her education to work managing people. By day, Katie worked hard and was promoted into sales support and customer care management. At night she earned her master's degree in management (with our support and applause). Along came more promotions…and then her first child. Following maternity leave, now she’s back in charge of pricing and customer care teams. Is there anything she can’t do? In her seven years here, we’ve yet to find it! Drew came to Western Paper right out of college. As a recent graduate, he lacked workplace experience and industry knowledge, but we quickly saw his potential and brought him in as a sales consultant. Drew was a fast learner. He poured himself into his role and thrived. We noticed, and then trained him with new business and leadership development skills. Now he’s managing his own team of sales professionals and equipping his team with the skills and motivation they need to thrive, too. It's a beautiful thing. When James started on the warehouse night shift back in 1999, his daughter Jeelin had yet to be born. Over the years, he has moved onto the day shift and was promoted to team lead, where he supervised a team of four. We gave him valuable management training and experience, and he quickly grew to love the fast paced, friendly work environment of Western. As a working team lead, James has taken pride in pulling orders right and treating customers the way he’d want to be treated. Time flies. He’s been with us now for almost two decades and he’s not the only one that’s grown. That sweet little daughter of his recently left for college. We both couldn’t be more proud. Charlie started off working the warehouse night shift. He came with warehouse experience, but we taught him order picking and he excelled at it…so we promoted him to team lead and gave him managerial skills and experience. He then became our bridge between the day and night crews. Charlie was curious about the job market and left briefly to work for a competitor but his short time away reinforced his appreciation for the culture and commraderie at Western Paper. When he asked to come back, we made him an inventory control analyst and now we’re both glad that he’s identifying new ways we can do things even better for our customers. April was hired through a recommendation by one of our current employees. Kind of a case of talent knows talent when it sees it. She started off in collections but her strong work ethic and dedication led her to promotion into a management role. Then we partnered with April to teach her analytic and spreadsheet skills, and the gave her new opportunities to put them to use. Today, she’s a valued analyst in our supplier management department who makes a daily impact on our business. And we can't wait to see what she'll be doing next. Kelly’s career at Western Paper began as a driver, but he soon moved into the fast lane of advancement after flashing his organizational and social skills. We helped strengthen Kelly's strategic sales abilities and gave him an opportunity to work in outside sales. Trading the truck for a car, he deployed those new skills and did fantastic work with our customers. 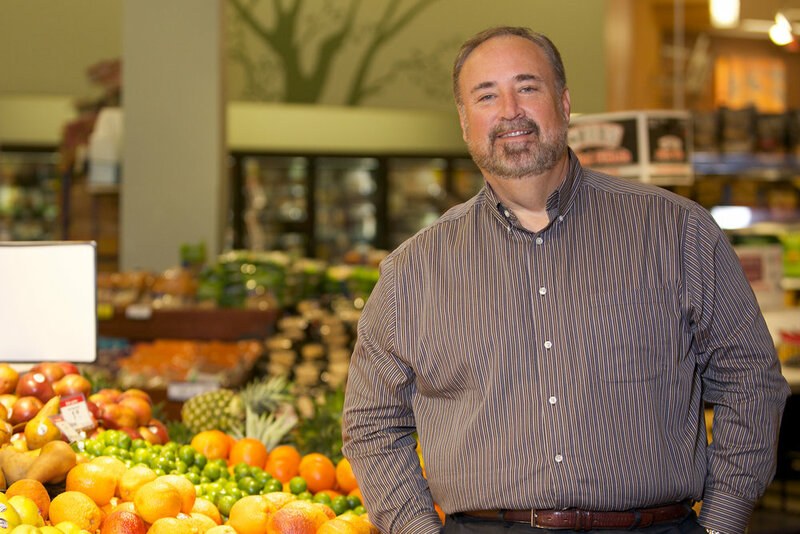 Now he’s our top grocery specialist and a vital part of our motivated sales team. It just goes to show what can happen when you're driven around here. Kristin came to Western Paper serving as an order entry specialist, but we soon recognized that Kristin could do so much more and we trained her to excel in sales support. And buying. And fulfillment. And everything new we threw her way she handled with flying colors. She’s now a food service expert and makes a major difference at Western working closely with some of our largest customers. We love what she's done, and look forward to discovering what else she can accomplish as part of our growth-oriented team.